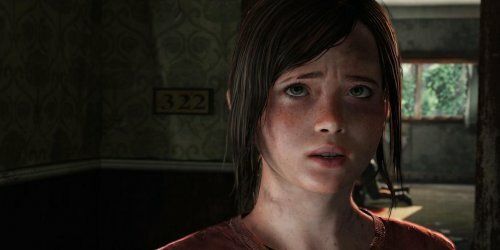 Last week, The Last of Us Moving Pixels podcast was published. I was on it and the lone dissenter as we worked are way through examining the game. I found that I was able to properly explain my position on the game and I’m pretty sure I sound like I’m simply babbling. I knew that much from the recording session. So I decided to spend my next column doing just that, explain myself and where I feel The Last of Us fell short. I spent a long time crafting that post and editing it. In the end, by the third draft I was really late in submitting it. I was super unhappy with the final product, but I had to put it in. Sufficed to say I missed the deadline and it wouldn’t go up till next week. Then I took it upon myself to help Kris and write TWIVGB last week. 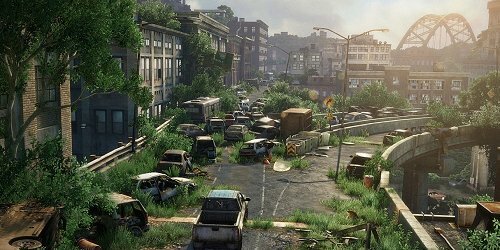 I read some essays on The Last of Us that opened my brain to certain areas of thought and organization. I immediately opened my outline and constructed a second one. With this smoother outline and more detailed, coherent explanations I rewrote the entire post, while taking some paragraphs wholesale from the old draft. I asked my editor G. Christopher Williams not to publish the old one and wait for the new one. I wrote it in a fourth of the time and am actually somewhat happy with this draft. It ended up even longer than the first one. Nearly 4000 words. I don’t think The Last of Us is as smart as it thinks it is and am a little disconcerted by the praise its received. It is a finely crafted, excellent example of perfectly paced masterpiece, but doesn’t step beyond those bounds. It presents the greatest dramatic story it can without any thought put towards deeper meaning. That’s fine for a shallow rip roaring adventure like Uncharted, which managed to pull off more underlying themes than The Last of Us, but Naughty Dog’s latest game reached for more but didn’t bother to put its hand out. What I find a little disturbing is how much a lot of players were taken in by the excellence of drama and confused it for profound meaning. Either gamers are so isolated to their medium that they don’t know what actually depth in a work looks like or something in their brain quietly switches off those critical faculties when it comes to video games. It’s a real pity, because they come so close to making a statement so many times, but change course for heightened drama instead. It’s an apocalyptic soap opera in a way. You can read my full explanation on PopMatters.